Just recently I read Let my people Go Surfing: The Education of a Reluctant Businessman and realized that it’s quite probably one of the most impactful book I read in my life. Patagonia is an outdoor company producing technical clothing for range of activities, quite known for it’s approach to sustainable production and environmental activism. 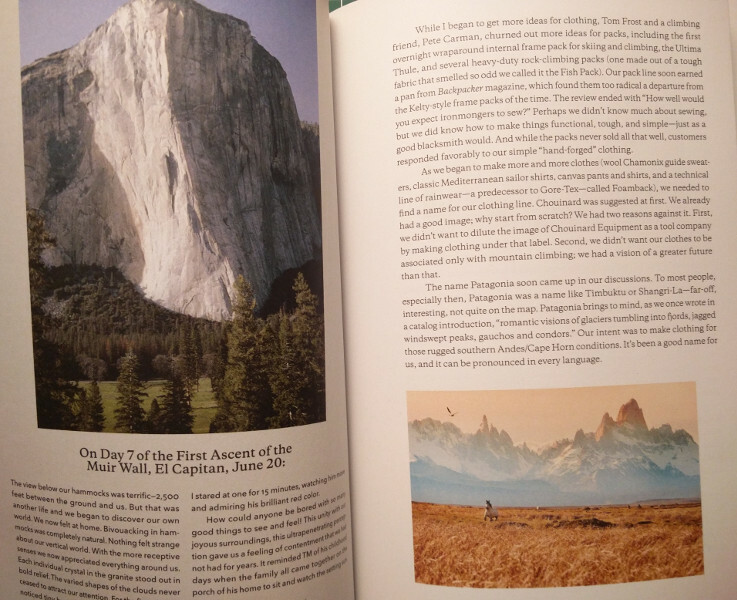 Let My People Go Surfing describes how Yvon Chouinard, a reluctant businessman, created Patagonia. I found the book to be very thought provoking and a very good lesson on business ethics and alternative approaches to running a company and taking care of employees. Without further due here is what I’ve taken from this book. 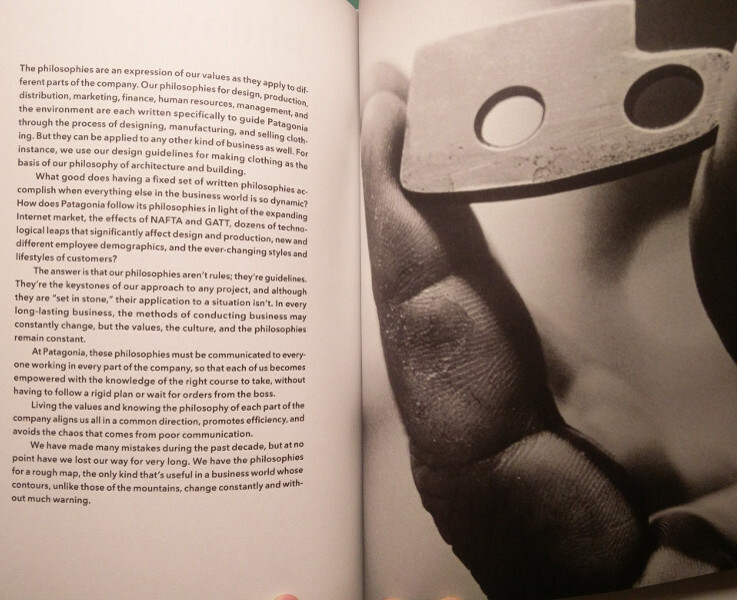 I liked how in the book Yvon stressed the importance on asking questions and scrutinizing your supply chain. In 1980 employees of one of the Patagonia store started feeling sick. A throughout investigation revealed that the source of their sickness was formaldehyde fumes from the Patagonia cotton clothing. This event led the company to look into alternatives and a switch to organically grown cotton. Realistically, as consumers, it’s not possible for us to investigate the whole supply chain of every product we buy, however I believe we can make small decisions that can matter in the long run. Some things that come to mind are avoiding products containing palm oil, eating less meat etc. If we were to start thinking about each product we buy in terms of resources needed for its production. If it takes as much as 2700 liters of water to produce a single T-shirt perhaps it would make sense to buy one that will last the longest? Or maybe your skiing jacket can survive for one more season? How much resources are needed to produce a single phone? Before we decide to switch phones yet again maybe we should check it and decide if we really need the newest model. What I like the most about Patagonia business model is that if you walk into their shop with a broken zipper they will repair it instead of trying to convince you to buy a new jacket. If we could apply such approach to all products we buy we could save so many resources! I’m glad that a right to repair movement seems to be picking up. I hope this trends continues and in the future we are free to tinker with everything we buy. 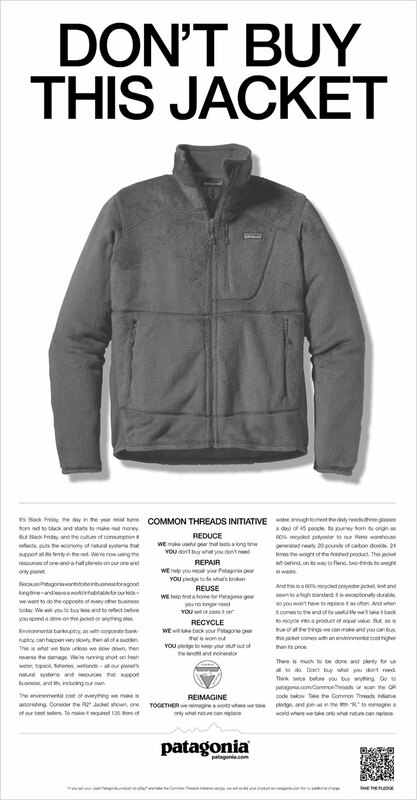 Each year Patagonia gives 1% of it’s sales to environmental charities. 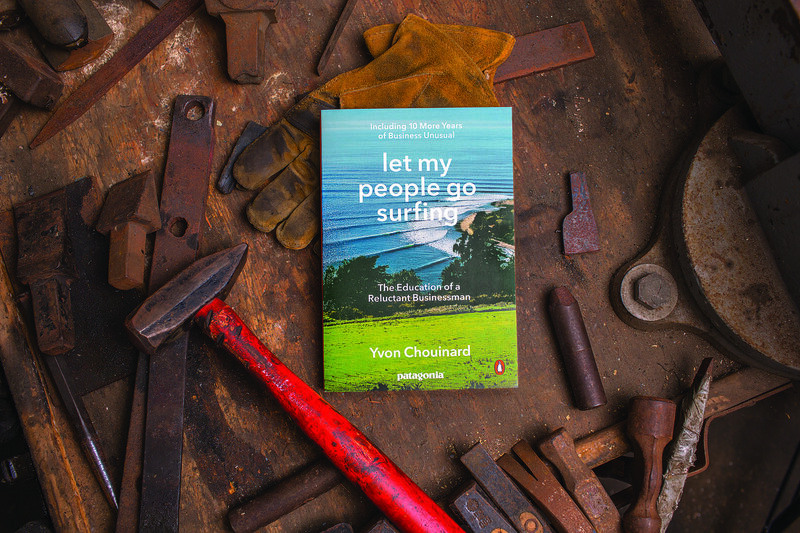 In Let My People Go Surfing Yvon Chouinard explains that this is a form of a self tax that’s meant to support a positive environmental change. I like this idea a lot and I hope that more and more companies will start creating such programs, not because it looks nice in the annual report but because it’s the right thing to do. I think this approach could be easily applied in personal life too. If you an afford it you could donate money or your time to charities or organizations that actively try to improve your neighbourhood/communities/environment. The way I think of this taxation on personal level is connected with due diligence point that I raised earlier. You could choose an energy supplier that you know is investing heavily into renewables or you could pay extra for a free range chicken in your supermarket. I found this book so inspiring that after buing and reading through the e-book I went ahead and bought two paperbacks, one for myself to keep and the second one as a gift (Amazon reflink). I love the visual design and print quality of paperbacks (at $7.22 on Amazon they are a steal, especially compared to $15.21 e-books). I’m really glad I came across “Let My People Go Surfing” I just can’t stress how much it changed my perspective on sustainability and ways companies can make the world truly a better place. It also made me realize that small choices might actually matter, even if it helps to move a needle just a bit it might still be worth it. Will I start buying only Patagonia clothes from now on? I will consider it only after my current technical clothing wears down beyound repair and only if it meets all my expectations. 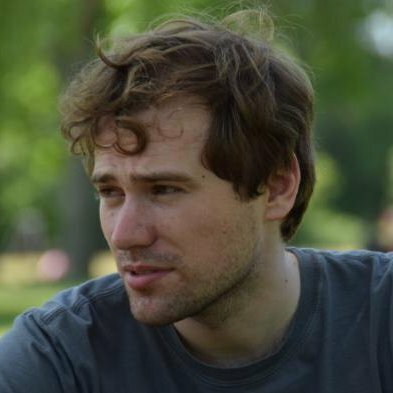 © 2019 Mateusz Sadowski. Powered by Jekyll using the Neo-HPSTR Theme.